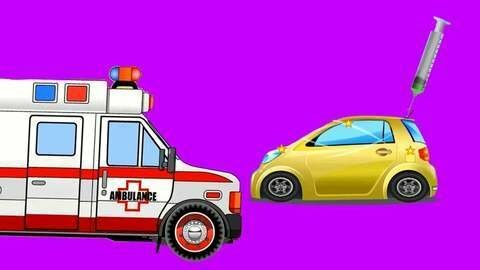 The first appearance of Ambulance in this animated cartoon about cars. Ambulance helps Yellow Car feel better, and helps Crane after he tried to pick up a truck that was too heavy. Watch full episode online for free.